San Francisco will host it’s 25th annual “Treecycling” program which turns the unwanted decorative trees into biofuel. 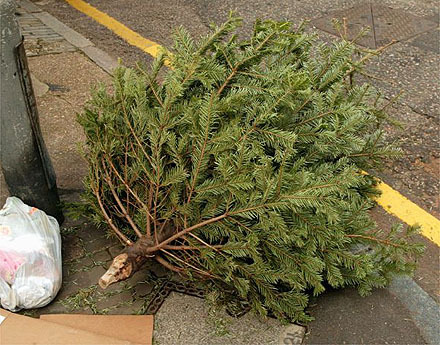 The trees will be collected from residents in January in an effort to divert the fir trees from Bay Area landfills. They will be collected curbside, chipped and sold in to energy-generating facilities in Tracy and Woodland to be used as biomass, said Bob Besso, Recology’s waste reduction and recycling manager. Over 514 tons of Christmas tree “fuel” was collected last year in San Francisco and hope to top that figure this new year. Using the tree’s as a solid fuel is seen to be much more environmentally friendly than disposing to landfill. The rotting down of the trees releases methane gases which are more harmful than the burning of the biomas.